Along with attending preventive dental visits at least twice a year, successfully preventing oral and periodontal diseases requires heavily on your own daily efforts at home. 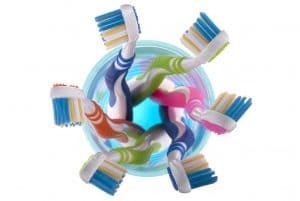 If your hygiene routine is lacking, then even the best oral health care may not be able to help you preserve your smile or avoid the need for extensive treatment. Today, we explain why good hygiene matters so much to the long-term health and integrity of your smile, and how it forms the basis for habits that will increase your chances of avoiding oral health troubles. Good hygiene essentially means taking good care of your teeth and gums every day between your preventive dental visits. That includes brushing and flossing away the oral bacteria and food particles that constantly band together and form plaque. As plaque develops on your teeth, the bacteria feed on the food particles to create harmful substances, like toxins, that attack your tooth enamel and healthy periodontal tissues. If you stick to good hygiene principles every day, then you can mitigate the risks of these substances more effectively. Once oral bacteria become strong enough to cause issues like tooth decay or progressive gum disease, the damage they cause cannot be reversed. Infected teeth and eroding gums have to be proactively addressed with customized treatment to stop them from growing worse. This involves a more complicated treatment plan than routine cleanings and visits, and after your treatment, the disease may still leave its mark. For instance, you might lose one or more teeth to gum disease before you finally seek treatment. When you take good care of your smile every day, you’re less likely to engage in habits that could threaten your efforts. For example, part of a good hygiene routine is to avoid thinks like smoking and chewing tobacco, which can become significant risks to your oral and overall health. Maintaining good hygiene isn’t just a recommendation; it’s essential to keeping your smile healthy for life and mitigating the risks of serious oral health issues. For more information, schedule a consultation with Dr. Kania by calling her periodontal office in Encinitas/San Diego, CA, at (760) 642-0711.